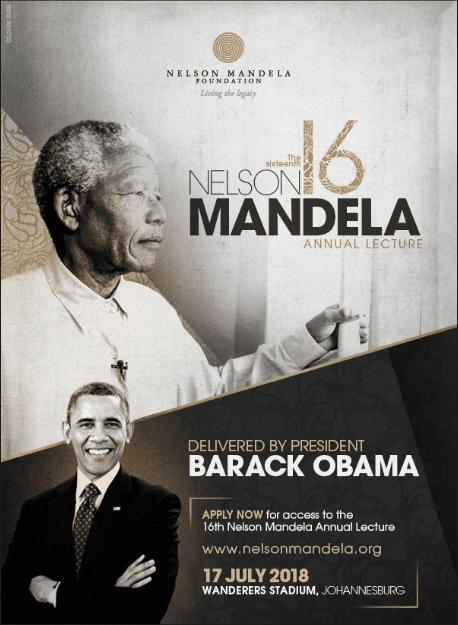 Apply Now to Attend the 2018 Nelson Mandela Annual Lecture delivered by former US President Barack Obama in Johannesburg, South Africa. The lecture will take place on 17 July 2018, a day before Nelson Mandela International Day, and will be held at the Bidvest Wanderers Stadium in Johannesburg. About 9,000 people are expected to attend. Previous articleAppsafrica Innovation Awards 2018 for Mobile and Tech Startups across Africa.